This method is not working since the Anniversary update (Windows 10 version 1607). 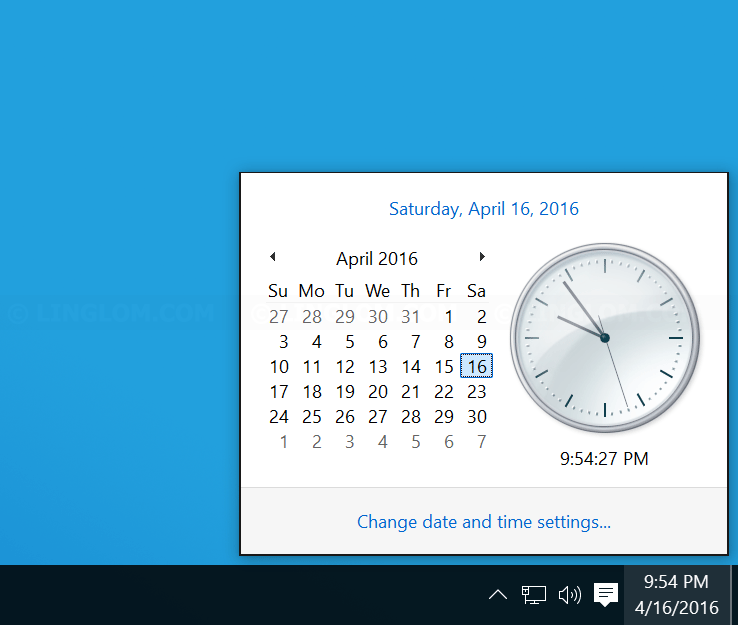 Windows 10 has a new pop-up clock (locates at bottom right) which shows time at top and has larger calendar compares to earlier version which has a small calendar and a round clock on the right. 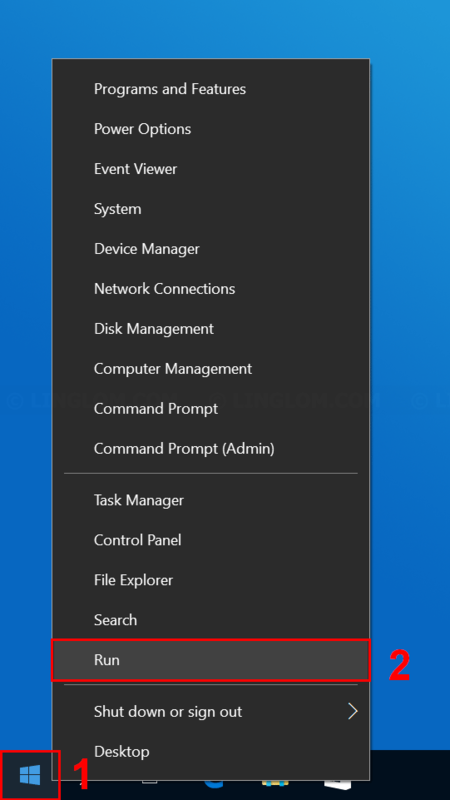 In this article, I will show how to switch back to old clock in Windows 10 by modify Windows registry. Note: Modify Windows registry incorrectly could result in serious problem to the system. If you’re not familiar with this method, you should backup Windows registry before follow these steps. 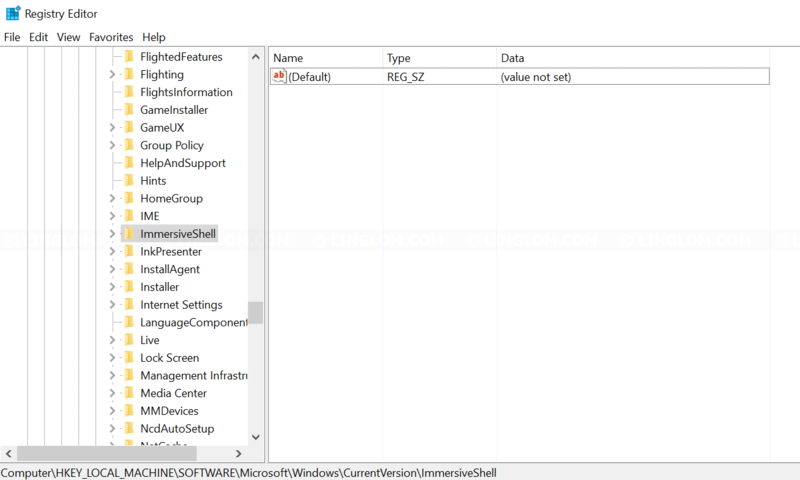 Open Windows registry and navigate to HKEY_LOCAL_MACHINE\SOFTWARE\Microsoft\Windows\CurrentVersion\ImmersiveShell\. Create a new DWORD key (if it doesn’t exist), UseWin32TrayClockExperience. 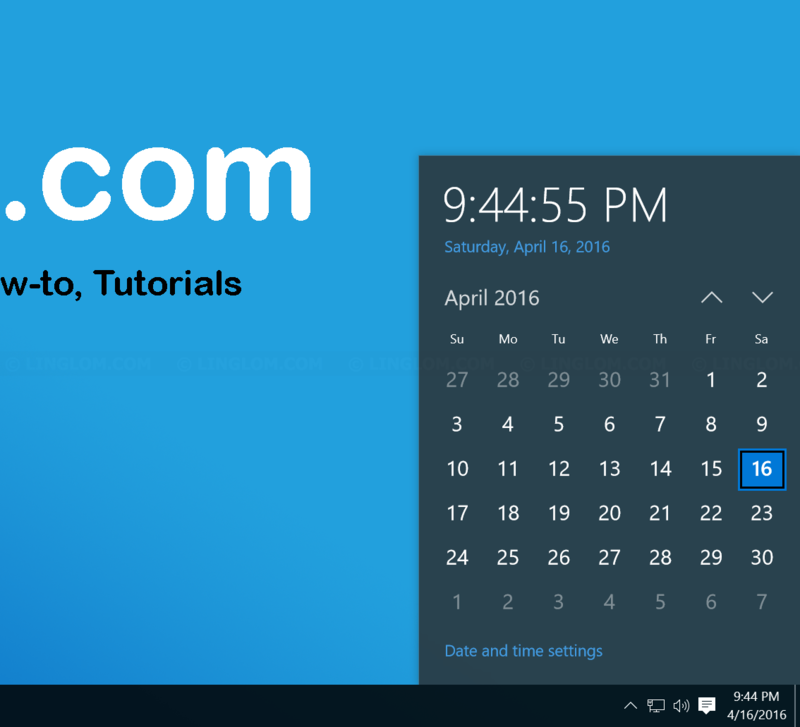 If you want to revert to Windows 10’s original clock, change the value back to 0. 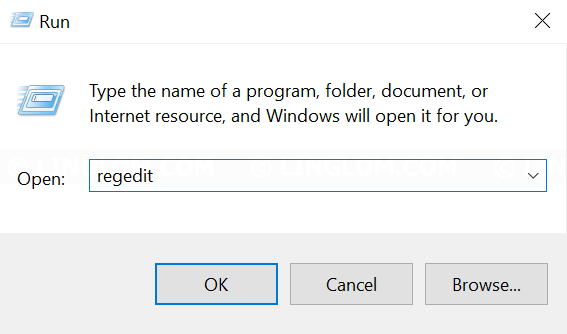 On Windows 10 desktop, right-click Windows icon at bottom left and select Run. Note: You can also press Windows + R keyboard shortcut to open Run window. On Registry Editor, navigate to the path below by double-click entry on the left window. Type the key name and press Enter. Close Registry Editor. Now, you will see the old clock as in the earlier versions of Windows. 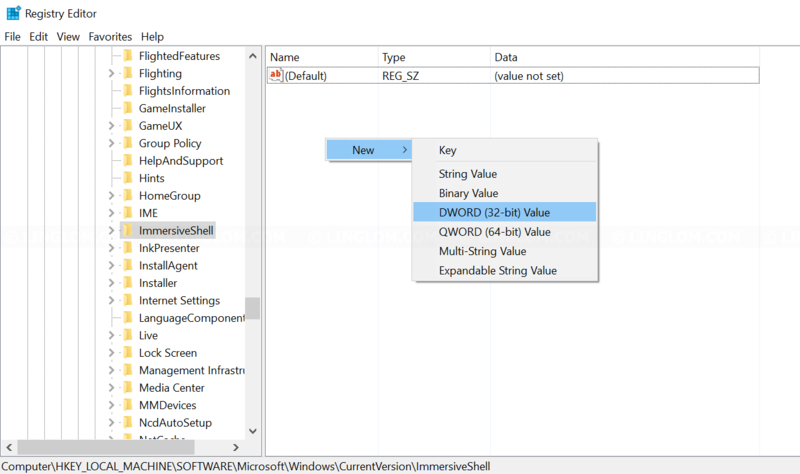 If you want to revert this change, open Registry Editor. Change the Value data field back to 0.